How much time do you spend on Social Media? If your answer is ‘a lot’ or ‘plenty,’ you are among the majority of the population. This is why Social Media is an excellent way to redirect traffic to your website. Also, it’s a more direct and personal way to engage with your customers. You will be meeting them at the place where they spend a lot of their time. A Social Media Manager is in charge of monitoring all your social media platforms. This person, or team, will have the responsibility of managing all your online content and interactions. But, Social Media Management is not just about posting content. A Social Media Manager researches what audiences are more likely to become future clients. With this in mind, the manager creates content that targets a specific group of people. Also, the manager has to be up to date with new tendencies and know what the public wants. With this research done, we create engaging content that will reach and engage the right kind of public to buy your products or services. How Is Social Media Going to Benefit Me? Marketing: When you are ready to invest in paid advertisement we can put together the best campaign that will attract more traffic and sales to your website. Reputation Management: We can build or improve your online presence. With Reputation Management, you will create a reliable brand name.  Near BPO is a Social Media Management company that has a highly-trained team of professionals who know what Social Media platform is better for your business, and what public is more likely to become customers. We research what social media platforms are best suited for your business, and we take care of all the setup tasks. We create a profile that will be oriented to attract the right kind of audience. We also take care of creating impressive and attractive graphics for your business. We create useful target-oriented content that will keep your followers interested in what you are going to post next. We manage all your incoming messages and deal with minor doubts and questions. If you are using an existing CRM or chat tool, you can easily integrate, centralize and automate communications.